Our concept of building projects is to ensure the We are trying to reach the best balance between these key elements, in order to achieve aesthetic and housing scheme that fully satisfies the satisfaction of there need. 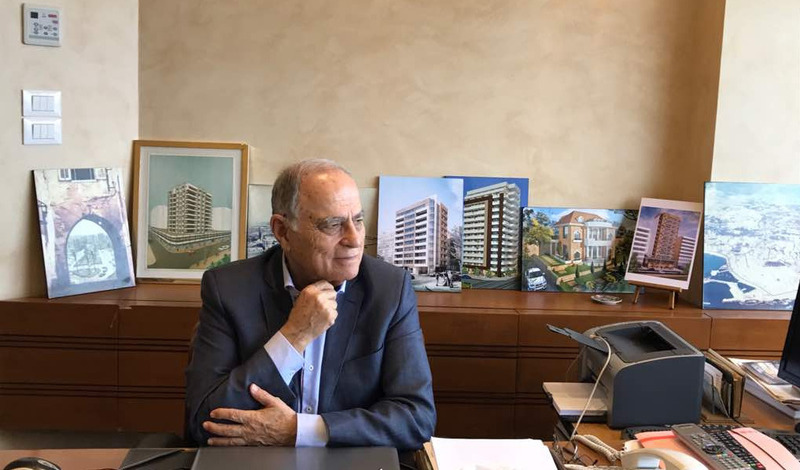 Mahmoud Dandachli and Partners, carries more than 50 years of experience in the field of constructions and real states development and accomplishing most of his projects, with all these experiences, his firm has earned a reputation for providing successful results to the clients. Mahmoud Dandachli, besides being the founder and the Partner in many companies such as Z & D ( 1974 ) – DATCO (1976 ) – DCC (2007 ) -------- Eng. Omar Dandachli (1990 ) – Eng. Ziad Dandachli ( 1997 ). Mahmoud Dandachli, born in Saida 1937, he is a member of OEA since 1964 and the general secretary of the OEA from 1993-1995. Mahmoud Dandachli had started the engineering profession in the city of Saida in 1965 and found his own office in 1966. Same year Mahmoud Dandachli & Partners opened a branch for there office in Beirut. 1965 Khalil Zibawi building – Saida – Wastani. 1966 Ramzi Al-arja buildind – Saida – SitNafise. 1966 Villa – Basma Tyre. 1968 El-Sharif Building – Abra. 1968 Lotfi Villa + Absi Villa – Alhomsie- Jezzin. 1969 Kassem Building – Saida. 1970 Al-Bizri + Al-Sharif Building – Hlelieh – Saida. 1972 Dr. Nasib Albarbir Villas – Zahrani – Saida. 1973 Rayes-Elmina Building – Hlelieh – Saida. The Architectural and Structural Design Department. 40 Abra Jezzi. str – 576 Hlelie Mofti st – 655 Saida East bld – 1132 Saida Saray str – 632 Saida SitNafise – 1819 Saida Saray str – 2203 Beirut Bourj Abouhaydar – 1522 Banks center . Riad-Solh Blv. DANDACHLI 0648 Residential bld.Abra – Saida dist. DANDACHLI 0001 Villas Majdelyoun dist. DANDACHLI 1832 Resid. Majdelyoun dist. DANDACHLI 1829 Resid. Majdelyoun dist. DANDACHLI 0487 Resid. Hamra-Sitnasab str. DANDACHLI 0920 Resid. Hamra – aljomayel str.